In 2017 a developer, Demmon Partners, proposed a mixed-use (residential and commercial) plan for development of a large area of the Bohannon commercial properties clustered around Hesperian Blvd. and Paseo Grande, including the entire existing parking lot and other parcels. Development of these properties is subject to the San Lorenzo Specific Plan, adopted by the county board of supervisors in 2004 (see below under Past Projects). For a history of attempts at developing these properties, see "Redevelopment of the San Lorenzo Village Square" below. If you have questions or comments about the proposed project, contact Rodrigo Orduna in the county planning department (rodrigo.orduna@acgov.org, tel 510.670.6503). The Hayward Area Parks and Recreation District purchased the vacant parcel at the corner of via Toledo and Hathaway Ave. in San Lorenzo, and has developed concepts for a park master plan . The Hesperian Corridor between the I-880 overcrossing and A Street is being redesigned to improve aesthetics as well as bicycle and pedestrian use. For the history of this project as well as current information go to Hesperian Streetscape at the county Public Works Agency website. For particular questions contact James Chu, Supervising Civil Engineer (510.670.5566, james@acpwa.org). A Cherryland Community Center was designated a spending priority under the former Eden Area Redevelopment District (see below under "Past Issues, Projects, and Programs"). The former Redevelopment Agency purchased a parcel on Hampton Road, near Meek Park, for the center. The parcel was later transferred to the county. Construction of the center, estimated to cost $20 million, will come from money returned to the county by the state as part of the winding up of the former Eden Area Redevelopment District. Construction is expected to begin in 2018. While the county will own the facility, the center will be operated entirely by the Hayward Area Parks and Recreation District (HARD) using its own funds. HARD purchased a parcel between the site of the community center and Meek Park, thus creating interaction between the two sites. See a view of the proposed center from Boston Street. A private developer, Civic Partners, was hired by the Bohannon Organization (owner of several commercial parcels along Hesperian Blvd.) to prepare a master plan for new construction in the area of the San Lorenzo Specific Plan (see "Past Issues" below). The county signed an agreement with Civic Partners to deal exclusively with that developer (for six months, until September 2004). Civic Partners released three versions of a master plan between 2002 and 2003 (see below), and submitted a "detailed development pro forma" in September 2004. However, it did not officially submit a development plan to the county for approval. The agency, Civic Partners, and the Bohannon Organization continued to negotiate both the plan and the business terms of implementation. In August 2005 and May 2006 the agency released revised master plans (see below). On Nov. 1, 2006 the Alameda County Redevelopment Agency terminated its commitment to fund the Civic Partners plan in light of ongoing uncertainty whether Albertson's Stores would be interested in building a new store in San Lorenzo. Subsequently, Albertson's sold its stores in northern California to Save Mart, which renamed the stores "Lucky". In August 2007 Save Mart signed a letter of intent to build a new market in San Lorenzo. The terms of the letter required significant changes in the master plan for the Civic Partners development (see below). The county board of supervisors on July 31, 2007 required the Redevelopment Agency to negotiate with Civic Partners on a development agreement, to be completed by the end of October. Third master plan proposed by Civic Partners (June 2003), included in the environmental impact report for the San Lorenzo Specific Plan. On January 30, 2008 the Redevelopment Agency terminated its "exclusive right to negotiate" agreement with Civic Partners because of a lack of progress in four years. Since then the Bohannon Organization has undertaken on its own to draw up development plans. It had announced that a plan would be presented to the public in December 2009, at a meeting of the county Redevelopment Agency's Citizens Advisory Committee for San Lorenzo, but no details were provided at that meeting. (See What's in Store for San Lorenzo's Commercial District?, Oct. 20, 2009.) At the committee's meetings in March and May of 2010 the Bohannon Organization still had not come up with any firm planning details other than the announcement that Save Mart (Lucky Stores) is no longer interested in building a new store here. In summer 2011 the Bohannon Organization met with a few selected residents of San Lorenzo to present a plan to construct a Golden Corral restaurant on the site of the old Mervyn's store. Golden Corral is a national chain of almost 500 cafeteria-type restaurants, similar to Hometown Buffet. The idea was later scrapped. In late 2012 the Bohannon Organization rehabilitated one of two remaining portions of the area that are being rented -- the area that includes the Lucky supermarket. In summer 2013 almost all other retail buildings were torn down. Until the dissolution of redevelopment agencies in California in 2012, the Alameda County Redevelopment Agency received a portion of property taxes collected in the unincorporated Eden Township for investment in rehabilitation and new construction in this area (see below). Under state redevelopment law, redevelopment agencies were required to set aside a fixed portion of their funds for investment in new housing projects. These funds were protected when the redevelopment agencies were dissolved. In San Lorenzo these "housing set-aside funds" were used to build a new senior apartment building in the Village Square under contract with Mercy Housing. The project is being managed by the former Redevelopment Agency's successor agency. For details of the planned project, see above. In 2017 a developer, Demmon Partners, proposed a mixed-use (residential and commercial) plan for development of a large area of the Bohannon properties, including the entire existing parking lot and other parcels. For details see the Village Green project above. The East Bay Greenway is a planned multi-use pathway from Oakland to Hayward, passing through the Ashland and Cherryland unincorporated districts. A 16 mile pathway follows the BART tracks and Union Pacific RR right of way beginning near 18th Avenue in Oakland and ending at BART's South Hayward Station. From there the pathway continues to Fremont (32 miles from Oakland to Fremont). The project is being managed by the Alameda County Transportation Commmission and is funded in part by the Measure B Bicycle and Pedestrian grant program as well as the more recent Measure BB. Since the amount needed to complete the 16 mile pathway is not likely to be secured at one time, the project is expected to be implemented in stages. In 2011 funds were committed for a segment of the pathway between 75th Avenue (Coliseum BART Station) and 85th Avenue along San Leandro Blvd. Construction of this segment began in 2013 and was completed in September 2015. For information on this segment, see East Bay Greenway. Direct questions to Tom Liao, Deputy Community Development Director for San Leandro (510.577.6003, tliao@sanleandro.org). The Hayward Area Parks and Recreation District developed a new master plan for the San Lorenzo Community Park (also known as "the duck pond") The master plan was adopted by the HARD board of directors November 26, 2012. Funding of implementation of the master plan was authorized by the HARD board in April 2014 and construction was completed in 2018. Until the dissolution of redevelopment agencies in California in 2012, the Alameda County Redevelopment Agency received a portion of property taxes collected in the unincorporated Eden Township for investment in rehabilitation and new construction in this area (see below under "Past Issues, Projects, and Programs"). Under state redevelopment law, redevelopment agencies were required to set aside a fixed portion of their funds for investment in new housing projects. These funds were protected when the redevelopment agencies were dissolved. In San Lorenzo these "housing set-aside funds" are being used to build an apartment building for seniors in the Village Square under contract with Mercy Housing. The project is being managed by the former Redevelopment Agency's successor agency. The proposed four-story, 77-apartment building is to be located in the commercial properties (the "Village Square") owned by the Bohannon Organization, at the former site of the San Lorenzo Post office. For information on the history and status of development of the Village Square, see below. Plans for the apartment building were presented in two community meetings in March and April 2014. The county planning commission approved the project on May 27, 2014. An appeal to the county board of supervisors was heard at the board's June 24 meeting, when the board voted to uphold the planning commission decision. A lawsuit challenging the consistency of the project with the San Lorenzo Village Center Specific Plan was filed in state court in July 2015 but was unsuccessful. The ACBD specific plan was adopted in 1994 to promote new commercial development along East 14th Street and Lewelling Boulevard. The premise of the plan is high-intensity development at specific segments of these streets, exploiting bus and BART service to reduce automobile-related development. The county received $400,000 from the Metropolitan Transportation Commission to revise the plan in light of experience (actually, these streets have seen almost no new development since the ACBD plan was adopted). A consulting firm was hired in April 1013 to carry out the revision and work began mid year. The revised specific plan was adopted by the board of supervisors in 2015. A copy of the plan is available in an 11 MB PDF file posted at the county planning department website. The county planner in charge of the revision was Rodrigo Orduna (654-5400, rodrigo.orduna [AT] acgov.org). Planning for a new and bigger library for the Eden Area (San Lorenzo, Ashland, Cherryland, and hillside neighborhoods) officially began in September 2002. An advisory committee, appointed by the county board of supervisors, meets regularly to discuss issues concerning a new library. Until December 2003 the planning for the new library was focused on an application to the state Office of Library Construction for an award of state bond funds. However, the board of supervisors did not submit the application because it could not come up with the necessary matching funds. The county hired a private firm to gather community views on a new library in a series of meetings in 2004. These meetings were very poorly attended; the effort ended with a report in the fall of 2004. The advisory committee continues to meet, but infrequently and irregularly. In 2008 the county library administration proposed using funds from the Eden Redevelopment District for "renovation" of the library interior on the grounds that a new library is more than five years away. In addition, there was talk of investing six to eight million dollars in remodeling of the existing facility in lieu of a new library. Renovation of the library was undertaken and completed in 2010. The principal work was raising the floor in order to lay a network of cables for the library's electronic equipment, installation of new shelving, and a new librarian service desk. County Supervisor Alice Lai-Bitker, who left office at the end of 2010, pushed for limited expansion of the library facility at its present site. The Citizens Advisory Committee for San Lorenzo Redevelopment recommended at its May 2010 meeting that up to $10 million in redevelopment district funds be spent on the expansion. Supervisor Lai-Bitker's successor, Wilma Chan, continued to make expansion a redevelopment spending priority. However, the state legislature prohibited any new spending by redevelopment agencies as of July 2011, and as of Feb. 1, 2012 all redevelopment agencies in the state were dissolved (see separate report here). The San Lorenzo Village Homes Association, which owns the land on which the library sits, on Jan. 25, 2012 approved a new 50-year lease to the county that would include additional land for the expansion. The county board of supervisors approved the lease on Jan. 31. The staff report to the supervisors concerning the lease states that no funding for the expansion is currently authorized. New spending by the former Alameda County Redevelopment Agency was stopped by the state legislature as of July 2011. Nevertheless, Supervisor Chan has continued to push for construction of the additional space and is counting on unspecified payments to the county by the state from former redevelopment revenues to pay the estimated $10 - $14 million cost of construction. The maximum-size new building that would fit in the present site would be about 10,000 square feet, with no additional parking. According to county documents, this additional space would not be used to expand the library collection or services. Thus, even with the extra space (for unspecified uses) residents in the library service area (San Lorenzo, Ashland, Cherryland, and western hillside neighborhoods) will still be left with a library that is one-half the size of an "adequate" facility for the population served (about 40,000 square feet about 72,000) according to professional standards. Spending for the expansion of the library building was authorized in the county's 2013-14 annual budget. Funds were supplied by so-called "boomerang" funds returned by the state to the county as part of the winding up of the former Redevelopment Agency. Construction commenced in April 2014 and was completed September 2015. The purpose of this project is to "improve the sustainability and livability of [the Ashland and Cherryland] low-income communities" by creating a "plant palette" and identifying "resources" in the project area. The project was carried out by Mandela Marketplace, an Oakland-based nonprofit organization, from May 2013 through May 2016 with a grant from the California Natural Resources Agency. The project must follow Urban Greening Planning Guidelines developed by the Natural Resources Agency. For more information see the project website, or contact the project manager, Erick Sanchez de Leon, erick@mandelamarketplace.org, 510.938.5069. The Eden Area Redevelopment District was formed by the county board of supervisors in June 2001. The district is divided into several subareas: San Lorenzo subarea (PDF file), Ashland subarea (PDF file), and Cherryland subarea (PDF file).) A local citizens advisory panel from each area recommends capital investment priorities. See Express Community Calendar for information on meetings of these advisory groups. 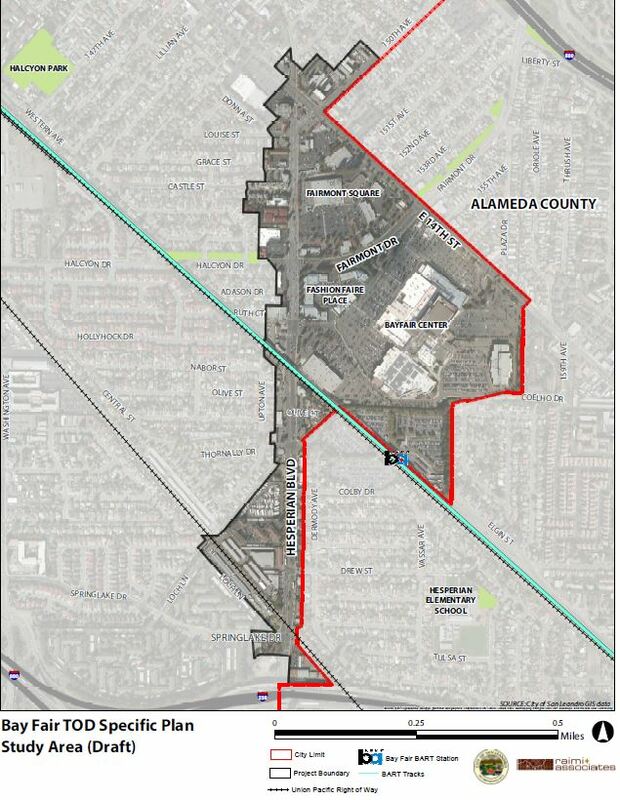 In 2009 the Alameda County Redevelopment Agency began a study as a first step in expanding the Eden Area Redevelopment District to include all residential properties in unincorporated Eden Township. As of May 7, 2010, there has been no word on this study. In 2011, immediately upon taking office, Governor Jerry Brown proposed elimination of all redevelopment agencies in the state as part of a larger proposal to restructure the state's fiscal system. A new agency would be created to complete existing contracts and wind up the affairs of local redevelopment agencies. On June 28, 2011 Gov. Brown signed a state budget that includes two bills (ABX1 26 and ABX1 27) that effectively eliminate most redevelopment agencies in the state. To qualify for continuation, a redevelopment agency would have to transfer sizable funds to the local school district. The Alameda County Redevelopment Agency board (all county supervisors) voted to continue operating. Several cities challenged the ability of the legislature to take such action. At the end of 2011 the California Supreme Court ruled that the legislature has the power to abolish redevelopment agencies and the option for existing agencies to continue was unlawful. (See California Redevelopment Association v. Matosantos -- link is to PDF file at the California appellate courts website). As a result, all agencies would be dissolved by Feb. 1, and local communities would have to create successor agencies to wind up the affairs of the former redevelopment agencies. On Jan. 10 the Alameda County Board of Supervisors appointed itself the successor agency of the redevelopment agency. It later appointed an oversight board, which reports to the state Department of Finance. All meetings, decisions, and reports of the board of supervisors and the oversight board concerning allocation of funds formerly under the control of the redevelopment agency are public, and all documents are posted on the website of the successor of agency. The director of the former redevelopment agency, Eileen Dalton, is in charge of winding up the affairs of the former agency (tel. 670-6509, e-mail edalton@co.alameda.ca.us). The county Parks, Recreation and Historic Commission has been working on drafting an historic preservation ordinance since 2006. The ordinance would apply only to the county's unincorporated areas and include a register of historic resources, including homes. A draft ordinance was released in 2007, and the following year a number of public meetings were convened. The draft ordinance was revised in 2010, and a new round of public meetings were held in 2011. For complete background see Historic Preservation Ordinance. The ordinance was approved by the county board of supervisors on Jan. 10, 2012. The Hayward Area Parks and Recreation District developed a new master plan for the San Lorenzo Community Park (also known as "the duck pond") as well as Kennedy Park on Hesperian. The San Lorenzo Community Park master plan was adopted by the HARD board of directors November 26, 2012. The Kennedy Park master plan was adopted by the HARD board of directors July 22, 2013. Kennedy Park was created in the 1940s and last renovated in 1975. It lies next to the historic McConaghy House, which is near Bockman Road in San Lorenzo. For information on HARD board meetings, including agendas, see the calendar of public meetings. King Collegiate High School is a new charter school operated by KIPP Bay Area Schools at the San Lorenzo School District's Barrett School site (2005 via Barrett, San Lorenzo). It shares the site with KIPP's Summit Academy (grades 5 - 8, about 400 students). The high school is expected to serve about 400 students. KIPP Bay Area Schools plans significant construction at the site to support the high school (classrooms, library, gymnasium and administrative offices). An assessment of the environmental impacts of the original plan was released to the public Sept. 9, 2009, and the San Lorenzo Unified School District issued a notice of intent to adopt a "mitigated negative declaration" (no significant environmental impacts if certain mitigation measures are put in place). Following a contentious public meeting on Sept. 15, 2009, KIPP Schools revised its plan for the campus. The new plan was presented at a public meeting Oct. 20. The environmental assessment was revised to reflect the new plan. A copy of the revised assessment is available at the San Lorenzo Library, or a digital copy on CD can be obtained from the KIPP office at the via Barrett campus. The period for submitting written comments on the environmental report was Nov. 3 through Dec. 2. The school closed the public walkway that runs through the campus from via Barrett, across San Lorenzo Creek, and into San Leandro, without consulting county or school district officials. KIPP had announced that it hoped to begin construction of some parts of the campus in the fall of 2010 and was attempting to secure non-state funds, but by January 2011 KIPP's plans for construction had been delayed by lack of state funds. In the meantime KIPP added five portable classrooms next to existing portables to accomodate the growth in students. In February 2012 KIPP announced it had received state funds to proceed with construction and convened a community meeting for Feb. 6 (see calendar of public meetings). For more information contact Tracy Hanna at 510.465.5477 ext. 34 or tracy.hanna [AT] kippbayarea.org . See the website KIPP Bay Area Schools. The principal of the San Lorenzo KIPP schools is Jason Singer (e-mail jsinger [AT] kippking.org). A Bay Bridge from San Lorenzo? The MTC created a Bay Crossing Policy Committee to recommend policy choices based on the "Bay Crossings Study". The committee conveyed its preliminary recommendations to MTC in a June 19, 2002 memo, which included: "3. When the RTP is next updated, add the new Mid-Bay Bridge and widening of the San Mateo Bridge to the list of "Blueprint" projects in the RTP. These are projects of continuing interest to the public but do not yet have consensus and/or identified funding." However, on Aug. 2, 2002 the committee voted by a narrow margin to "remove the proposed bridge from further consideration," and the Metropolitan Transportation Commission adopted this position. Nevertheless, in 2010 the Bay Bridge Toll Authority (which is simply MTC wearing another hat) allocated funds to reassess options from the 2002 study -- including a new midbay crossing (see story) -- and evaluate new alternatives. The study was expected to be completed in October or November 2011 and presented to the Bay Area Toll Authority (BATA) Oversight Committee. At the September 2011 meeting of the BATA Oversight Committee, the consultant hired to do the new study reported to the committee that several options in the 2002 study, including a new mid-bay bridge, were not financially feasible at this time. Accordingly, BATA staff and the consultant are focusing on upgrades to the three existing bridges (SF Bay Bridge, San Mateo Bridge, and Dumbarton Bridge). The county's planning staff has prepared a "Climate Action Plan". The plan describes actions the county may take to reduce "greenhouse gas emissions" from activities within the county's unincorporated areas. Such actions include capital expenditures as well as regulation, and embrace transportation choice, water conservation, waste diversion (improving recycling), energy efficiency of buildings, and "green infrastructure" (expanding the "urban forest"). In December 2010 a draft plan was presented to the county board of supervisors. The final plan was approved by the board on June 28, 2011. A copy of the final plan, as well as related documents, is available at Community Climate Action Plan. For information contact Bruce Jensen, Senior Planner, Alameda County Planning Dept., 224 West Winton Ave., Hayward 94544 (bruce.jensen@acgov.org, tel 670-5400, fax 785-8793). The unincorporated area of Eden Township ("Eden Area"), excluding Castro Valley, is the subject of a separate area general plan. The plan controls development for several years (the last revision was 15 years ago). The first community meeting was Oct. 29, 2002. The draft plan was released Oct. 14, 2005, and is available in the San Lorenzo and Castro Valley libraries and on the Web at Eden Area Plan. Copies of the plan are also available from the county planning department, Cindy Horvath (tel. 670-5400, cindy.horvath@acgov.org). The deadline for written comments was mid March 2006. A series of public meetings on the plan were held in 2006. The draft final plan and draft final environmental impact report (EIR) were released at the beginning of April 2007. The plan was reviewed by the county planning commission on April 16 and in a special community meeting April 25. Adoption of the plan was stalled because of a controversy over inclusion of hillside neighborhoods in the "El Portal Ridge" area. The county board of supervisors voted to remove the neighborhoods from the plan, and the plan had to be revised to reflect that change. After a year's delay, the county planning staff described new ideas and proposed changes in the general plan at a community meeting on July 22, 2008. The principal changes are changes in the plan boundary (see above) incorporation of measures to reduce "greenhouse gas emissions". The final plan and the revised final environmental impact report (EIR) were released Oct. 2, 2009. Copies of both documents are at the Castro Valley and San Lorenzo libraries. A CD can be requested from the county planning department (670-5400). The period for commenting on the EIR in writing ends Nov. 2. A public meeting on the plan was held Oct. 14. The plan was reviewed at the planning commission on Oct. 19, at the board of supervisors Unincorporated Services Committee on Oct. 28, and again at the planning commission on Nov. 16. The plan was finally adopted by the board of supervisors on March 30, 2010. See Eden Area Plan for additional information on the Eden Area Plan. In 2009 the county revised that part of its General Plan that deals with housing (the "Housing Element"). The state requires that the county set aside developable land for construction of housing that will sell for below market rate, i.e., housing that can be purchased by low- and moderate-income persons. The planning period for this updated Housing Element will cover July 2009 to June 2014. The Housing Element was last revised in 2003 (approved by the county board of supervisors October 2, 2003). A revised draft Housing Element was released to the public for comment on Oct. 22. The deadline for written comments is Nov. 30. An environmental assessment of the updated Housing Element was also released. Both documents are available in the San Lorenzo, Castro Valley, and Hayward libraries, as well as at the county Community Development Agency office, suite 111, 224 West Winton Ave., Hayward, and on the web (see below). The Housing Element was finally adopted by the board of supervisors on March 30, 2010. Inventory of parcels designated in 2003 as possible sites for construction of "affordable" and low- to moderate-income housing (link is to map in PDF file). At the request of the San Lorenzo Village community, the county undertook a study of alternative future uses of the industrial area west of the Village (around lower Grant Ave.). The future of this area was considered as part of revision of the Eden Area General Plan (adopted March 30, 2010). Calpine has designed a 600 megawatt, natural gas-fired power plant in the former Russell City area, at the boundary of Hayward's "industrial corridor" with the natural shoreline. The large size of the plant at the edge of preserved wetlands will make it visible from all points along the shoreline park. The plant will also have adverse impacts on air quality in the immediate area. The California Energy Commission held formal hearings on the project on June 20 and 21, 2002, in Hayward and subsequently approved construction. In 2006 Calpine applied for an amendment to its original facility plan. New concerns were raised about the possibility that the plant's pipestack emissions may disturb the stability of airplanes flying over the plant to land at Hayward and Oakland airports. Nevertheless, the plant was approved October 3, 2007 by the state Energy Commission. Alameda County and several citizens petitioned the commission to reopen the proceedings on the grounds that people outside the City of Hayward had not been adequately notified of the proceedings. The petitions were denied and a lawsuit against the Energy Commission was filed. For information on the project and official notices, visit the California Energy Commission website for the Russell City Power Plant (Amendment Proceeding). In a series of public meetings (generally monthly, beginning Dec. 16, 2003) local residents meet with county planners to discuss various issues in zoning with an eye toward possibly revising the ordinances. Issues have included garage conversion, fence height, implementation of required low-cost housing, etc. As of 2007 a major focus of the group will be development of guidelines for design of housing. See Express Community Calendar for announcements of meetings. As of spring 2009 committee meetings have been put on hold while the planning staff decides whether to continue with the committee. The Olson Company proposed replacing the shopping center on both sides of Bockman below via Chiquita in San Lorenzo Village with "town homes". Issues included loss of commercial space in the unincorporated area, especially San Lorenzo Village. The Olson Co. has built several housing projects in the state, including housing at the Hayward BART station. Contact Allison Dobbins at The Olson Company, 925.244.6208. The company presented its first public conceptual plan, for 104 homes, at a public meeting April 19, 2005. About 400 people attended the meeting. The company's second conceptual plan was presented on July 13 at an "open house" (no formal meeting). The only change was a reduction in homes to 99 and addition of single retail building of 4,500 sq. ft. The plan was changed again in a presentation to the planning commission on Feb. 21. The commission reviewed a plan for 82 houses and recommended approval if the amount of commercial space was increased to 7,000 square feet. The draft environmental impact report (EIR) on the project was released in October 2005. Copies are available from the county planning department (670-5400). The final EIR was released Feb. 3, 2006. The planning commission conducted a hearing on the EIR at its Feb. 21 meeting and recommended certification. The county board of supervisors certified the EIR and approved the subdivision on April 6, 2006. EBMUD proposed storing water in underground aquifers in San Lorenzo -- see November 2001 story. An environmental impact report for this project was released to the public in 2001 and then withdrawn because of controversy (see, for example, Heron Bay Task Force). A Community Liaison Group was then formed (for information call Greg Chan, 287-0135). The project was redefined and a revised EIR was released March 14, 2005. (The EIR is available in public libraries or at the EBMUD website -- see below.) A public hearing on the project was held April 20, and the project was approved by the EBMUD board. Environmental Impact Report, March 14, 2005 (EBMUD website), or call Angela Knight, 287-1213, for a free CD-ROM copy. Alameda County has an approved plan to widen Lewelling Blvd. from East 14th St. to Hesperian Blvd. and improve walkability. The county's goal is to facilitate automobile traffic by increasing lanes, putting utility lines underground, improving the appearance of the street, and putting in sidewalks. See the Public Works Agency website for a copy of the plan released Dec. 16, 2004 (look under "Community Update"). For more information contact Marita Hawryluk (tel. 670-6112), Alameda County Redevelopment Agency. CalTrans widened Route 238 from four to six lanes between the Route 238/580 and 238/880 interchanges. The project was paid for by "Measure B" funds (authorized by Alameda County voters). A related proposal was restriping of southbound I-880 between the A Street Undercrossing and the Route 238/880 Interchange to create an auxiliary lane. An assessment of environmental impacts of this proposal was released October 28, 2003, along with a proposed "negative declaration," meaning that in the view of CalTrans the proposed project would have no significant impacts on the environment. The work proposed by CalTrans was scaled back from an earlier proposal to effectively rebuild I-238, including a new "flyover" connecting I-238 and I-880 southbound. The environmental analysis is available in Braille, large print, on audiocassette, or computer disk. A copy is available in the San Lorenzo Library. For more information contact Dennis Radel at CalTrans (tel. 286-6214, TTY 800.735.2929). The widening project was formally approved by CalTrans on June 25, 2004. The plan, adopted by the county board of supervisors in 2004, covers the commercial area in the Village Square and nearby parcels along Hesperian Boulevard, most of which are owned by a single owner, the Bohannon family. The plan will guide future public and private actions within the area. It describes the county's policies and regulations regarding development, including land use, circulation, design, and infrastructure within the plan area. The plan also identifies issues and community concerns and preferences. See introduction to the plan, a good summary of how the plan came about. A copy of the plan is available at the San Lorenzo Homes Association office or from the Alameda County Planning Department. The environmental impact report (EIR) on the Specific Plan was made public in late June 2003 and subsequently certified by the county board of supervisors at the same time the board approved the Specific Plan. Copies of the EIR are available at the San Lorenzo Library. The EIR was intended to cover any master development plan conforming with the Specific Plan. How Big Will That Proposed Store Be? The Shils Report: Measuring the Economic and Sociological Impact of the Mega-Retail Discount Chains on Small Enterprise in Urban, Suburban, and Rural Communities. See the archive of model public policies at Home Town Advantage. Bay Area Transportation and Land Use Coalition -- The coalition is composed of over 60 organizations that encourage public agencies, private developers, and groups of concerned citizens to promote policies and take actions leading to a Bay Area with intelligent, sustainable land use patterns and an efficient and equitable transportation system. Urban Ecology -- Assists diverse constituencies engaged in changing their land use and building patterns. "We connect individuals to their neighborhoods, neighborhoods to cities, and cities to the entire Bay Area region." Urban Habitat Program -- Dedicated to building multicultural urban environmental leadership for socially just, ecologically sustainable communities in the San Francisco Bay Area. American Independent Business Alliance -- Helps communities conduct "buy independent, buy local" campaigns and advocate for pro-local policies and other initiatives that support local entrepreneurs and vibrant and durable local economies. California Futures Network -- Affiliates are united in the belief that California should steer public and private investments toward existing developed areas; provide for increased social justice, economic, and housing opportunities; and conserve the state's agricultural and natural lands. Congress for the New Urbanism -- Advocates the restructuring of public policy and development practices to support the restoration of existing urban centers and towns within coherent metropolitan regions. CNU stands for the reconfiguration of sprawling suburbs into communities of real neighborhoods and diverse districts. Institute for Local Self Reliance -- Information on environmentally sound economic development strategies. Resources for Urban Design Information -- A worldwide perspective on good urban design. Smart Growth America -- A nationwide coalition promoting a better way to grow; one that protects farmland and open space, revitalizes neighborhoods, keeps housing affordable, and makes communities more livable. Sprawl Busters -- Information on communities fighting construction of mega-stores, the giant WalMarts, Home Depots, etc.